The funding campaign for the new Lahaina harbor webcam has raised $1565. Thanks a lot and let’s keep them coming. I’m gonna start my posts with an update like this until it reaches its goal of $2,000. Please donate to the page, not to me. I have nothing to do with this campaign, other than the fact that I totally support the cause. A shortboard and longboard session for me yesterday. 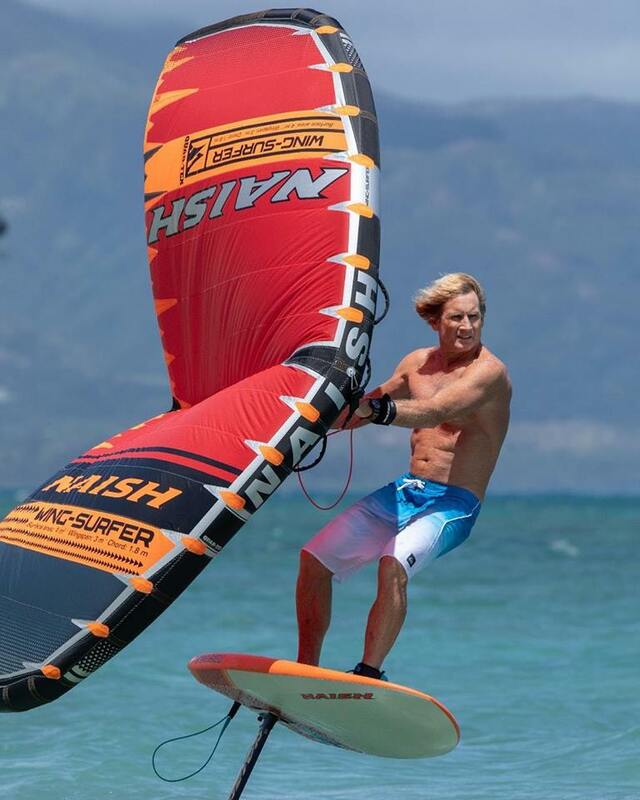 This photo was posted by Robby Naish to publicize their version of what they called the “Wing-Surfer”. Pretty good name for it, I’d say. On his facebook page, he also posted a video to show how it’s done. It’s pretty evident the need of windows in it (the new Ken Winner versions have them), as you don’t see a thing downwind of you. The one I tried didn’t have them and I found it dangerous not to see what’s downwind of you. This is the only action photo I took and shows my buddy Russ playing with a building windswell. I tried the Stewart and it rips, but it was expensive. 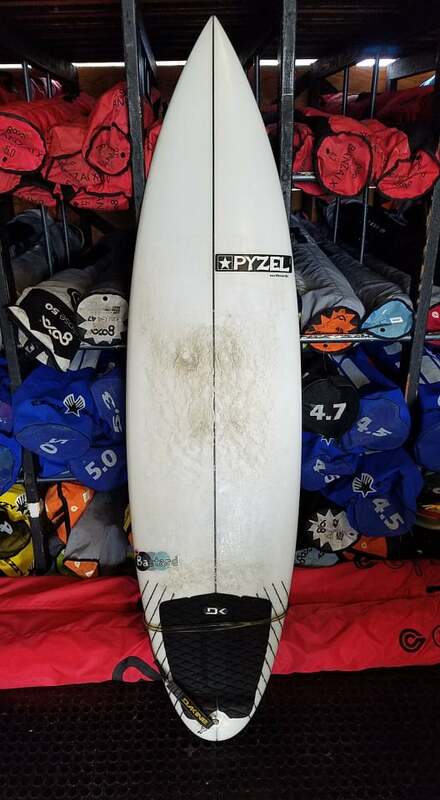 Here’s a 6.2 Payzel Bastartd I’m selling and this is its craigslist link. Southerly energy winding down at the buoys. I didn’t go yesterday and this is a funny random report I found on facebook: Smaller than tiny. But bigger than teeny weeny. Today it might be just that instead. Waimea is the only buoy that stubbornly records leftover NW energy, but with 11ft 10s of easterly windswell in the local water, good luck at seeing its sets. Today it’s going to be all about the windswell which will be pretty big at Hookipa and on the east facing shores. Below is the collage of the ramping up Pauwela graph and the Surfline forecast. North Pacific has a NW fetch and the windswell one. South Pacific has a couple of southerly fetches, one of which is so deep south that I had to shift the map up and Hawaii ended up out of it. But I put an H where they are. We should see a small swell starting mid next week.